Apart from being the premier collegiate organization for finance and accounting students, Beta Alpha Psi is a great way to open doors and create opportunities for your career. Employers know Beta Alpha Psi members have taken the extra step to become career professionals and explore the industry. Below, we’ll discuss 6 reasons joining Beta Alpha Psi is one of the best career moves college accounting students can make. Employers want to know the candidates they’re hiring have real-world skills, including networking, problem solving and follow-through. Joining and participating in Beta Alpha Psi will present opportunities to grow your soft skills and create personal assets that are valuable to employers. Consider everything you did as a member of Beta Alpha Psi and apply it to your potential career. What role did you play? Did you help coordinate networking or outreach events? Were you an officer? Did you run a meeting? This is all relevant business experience you can highlight on your resume and in your cover letter. Outside of what you put on your resume, Beta Alpha Psi will teach you skills you need to succeed in your career, like written and verbal communication, leadership, and accountability. It’s obvious you’ll build leadership skills becoming an officer in Beta Alpha Psi. You’ll work with employers, your college and the AICPA to build and maintain your chapter within your college. You’ll help direct the organization within your school, cultivating leadership skills along the way. If you aren’t an officer but just a member of Beta Alpha Psi, you can still develop leadership skills by participating in community events and volunteering. You can also see if the officers need help implementing networking events to help you gain leadership and communication skills. Beta Alpha Psi coordinates and holds networking events with local and national employers, a great way to get your foot in the door with your dream company. Use these events as an opportunity to build relationships and really get to know a company. Ask relevant questions, but keep the conversation light. Remember, this isn’t a job interview, it’s an opportunity to build relationships. Even if you don’t end up working for someone you network with at a Beta Alpha Psi event, she or he might have qualities or a career you aspire to, making her or him a perfect candidate for a mentor. Many people enjoy being mentors in their field, and by networking at Beta Alpha Psi events, you can seamlessly ask a career professional to help you develop your own career. Imagine two job candidates, both have accounting degrees and a similar resume and GPA. But one has taken the time to learn about the accounting industry through Beta Alpha Psi and one has not. Imagine who the employer will choose. Employers like to see candidates who are engaged in the field before they even start their career. By joining Beta Alpha Psi, you’ll have plenty of opportunities to discuss the industry with both your peers and career professionals. It’s no secret your GPA is a big deciding factor in getting an interview. It’s the platform you’ll launch from into your career, and the stronger it is, the more opportunities you’ll have. Beta Alpha Psi is a place where you can ask questions regarding your classes. You peers can help you clarify topics, offer solutions and encourage you when classes get tough. Use this opportunity to build your knowledge through collaboration. Other members of Beta Alpha Psi likely know its worth and are willing to put in the extra effort toward their careers. 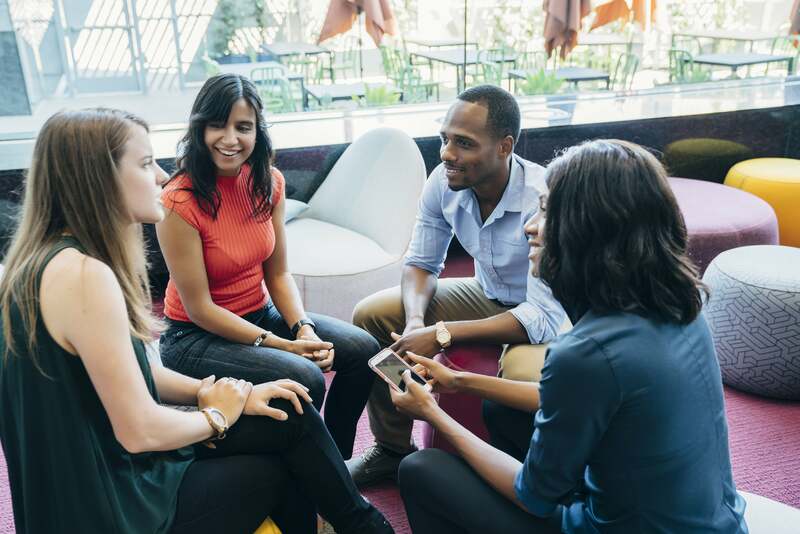 By building relationships with your peers in Beta Alpha Psi now, you’ll have a strong network of like-minded friends and colleagues as you build your career. These are relationships that will go beyond just co-workers and help you feel more fulfilled in your career. Investing in Beta Alpha Psi now will pay huge dividends for your career both now and into the future, and it will help you develop skills and promote your career both in college and beyond. Learn how you can join your campus’s Beta Alpha Psi chapter. Paul Wiese serves as Vice-President for Surgent CPA Review. In this role, Paul oversees market development relationships on a national basis. Additionally, Paul is the incoming Professional Partner Chair for Beta Alpha Psi, the international honors organization for accounting, finance and information system students, and serves as a consultant on a variety of accounting advisory and professional development panels.